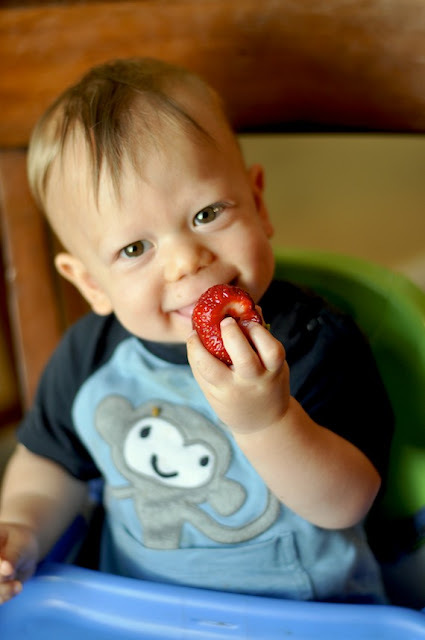 Our first berry CSA drop was today! 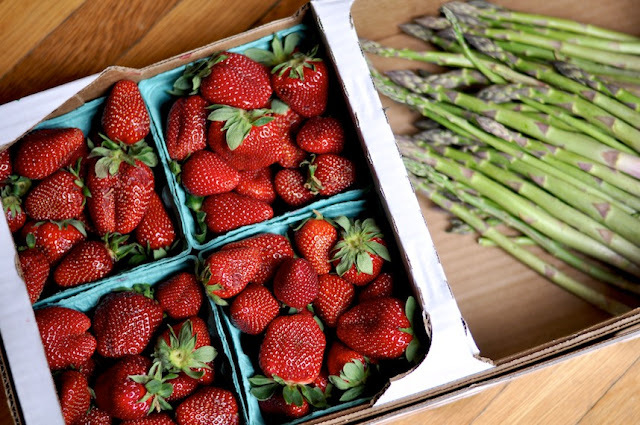 We received 6 pounds of sweet strawberries and 2 pounds of fresh asparagus. Apparently this is the earliest April harvest our farm has seen in 28 years! Eggs and asparagus are a natural combination, and as if to read my mind a friend sent me a link to a lunch of hard boiled egg sliced over boiled asparagus and sprinkled with grey sea salt, pepper, and blood orange oil. Oh man. I opened her note just after we finished up our dinner tonight of cheese omelets and roasted asparagus. We have one pound of the green stuff left, and this asparagus, goat cheese, and lemon pasta looks like just the thing. I like to share how I use my produce every week, and I have already come across some yummy looking recipes. Maybe not ideal for this week though, because I'm pretty sure that the berries will only last long enough to devour them as they are, such a predicament! I made this strawberry cake for valentine's day this year and it is so, so good. Definitely worth making again with fresh strawberries this time (instead of frozen). Next week I hear we have strawberries and rhubarb to look forward to. Yippee! I love the idea of an all berry CSA! We skipped our CSA and gambled on our own garden, hope it pays off! Oh, I don't think you will be disappointed! !